ACT, Apartheid, Constitution, Justice, Mana Party, Propaganda, Sheeple, Socialism, Te Tiriti o Waitangi, Thomas Jefferson, Treaty of Waitangi, Tyranny, Vote Wikiriwhi! 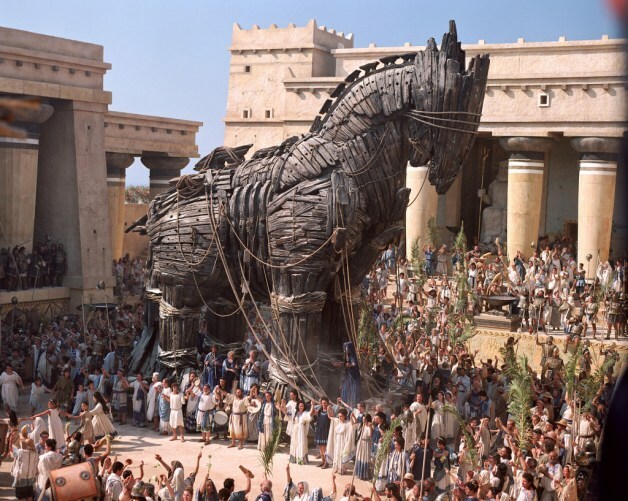 Trojan Horse: The UN Separatist Declaration of Indigenous Rights. While most Kiwis concern themselves with the state of the Economy, there is another issue of even greater magnitude being foisted up us… the preparations for a New Republican Constitution for New Zealand. This process is being carried out in stealth, ie there is no public debate going on, but rather a collection of ‘Hui’ which are dominated by Socialists, Greens, and Racial separatists who have hijacked this project and are setting about to manipulate public opinion into accepting a corrupt constitution which enshrines Racial separatism and pseudo-legitimises totalitarian powers to Parliament. I am currently attempting to rally a lobby group to oppose this skulduggery and to propose an alternative Constitution based upon Equality before the Law and Limited Government, which includes a Bill of Rights which must be respected by Parliament. I have so far had no success. One of my associates, One New Zealand Foundation’s Ross Baker shares my alarm that the separatists have Hijacked the process for establishing a New Constitution, and is concerned that the fact that John Key’s National Government has accepted the UN Declaration on Indigenous rights means it will be used as leverage by the Separatists to enshrine a separatist Constitution. He is also concerned about the lack of any organised opposition. We intend to put up a fight! Yet currently we are so few in number that we fear we have little hope of getting our side of the Debate herd, let alone be successful in halting the ambitions of the Racist Socialists. Below is an Opinion piece I wrote at the time John ‘Quisling’ Key endorsed the Racist/ Anti- Enlightenment Document… The UN Declaration of Indigenous Rights. The danger I forewarn is now upon us. This Declaration is about to be used in the most diabolical way. To enshrine an apartheid constitution. This can only bring Greater evils and injustices upon us. It will perpetuate the Extortion Racket that syphons millions of dollars into the hands of vile racists. It will further entrench Maori in the mentality of victimism and the poverty of Socialist dependence. I post it here today in the hope of stimulating interest in this ‘Mother of all Political struggles’ we currently face… To sound the Alarm… The Barbarians are at our gates! Prepare for Battle or be slaughtered, and your children enslaved. Article/ Opinion piece… Quisling John Key sells out New Zealand to UN Socialist racism. By Tim Wikiriwhi Libertarian Independent Hamilton West. Recent dire events lead me to write this article asking how is it possible that earth shattering truths can explode in the face of a so-called educated people without causing so much as a tiny ripple of contemplation their consciences, yet at other times these same nation of scholars are provoked into a lynch mob frenzy at the drop of a hat? Machiavelli would say “tis elementary”… for the Prince skilled in statecraft. I however conclude no such Diabolical genius is necessary! *Mass Deception is easily achievable via corrupting the peoples education*… and thus over time manipulate their grip on reality. * Furthermore I say New Zealand clearly has been so manipulated*… by mediocre liars who have been furnished with just such socialist political engines of condition and have propagated a nation of thoroughly ‘educated’ Ignorami! Why am I pouring scorn upon my countrymen? Via John Key, New Zealand has just endorsed the UN separatist declaration of Indigenous rights which is contrary to the Treaty of Waitangi and the principles of justice which say our rights must be equal before the Law. It pains me to think thousands of Kiwis voted for the Quisling John Key and his band of sycophants calling themselves the National Party! That these Toe rags managed to convince anyone to vote for them is more than a badge of stupidity, it is fast proving to be a fatal error, yet most Kiwi are too ‘educated’ to grasp what this Quisling has achieved in his short stint at the top Job, and most of those who are ‘in the know’ belong to a club of shyster lawyers, racists, stooges, and power hungry Politicains now wringing their hands with glee at the thought of how to enrich themselves with filthy lucre…. thanks to the utter imbecile running our country. I say John Key must rank as one of the worlds greatest two faced idiots in power today along side the President of Iran and Hugo Chavez, and ultimately is just as dangerous…just as disastrous. Sitting at my computer, I could not express how grievous has been the collaboration of John Key with the radical racist separatists of the Maori Party, without venting this tirade you are reading. As a Hamiltonian I wonder where are the voices of protest from our elected representatives Tim Macendoe and David Bennet? Their silence betrays their complicity! They have no spine… No independent conscience… They are loyal little minions. John Key is no Prince yet is Machiavellian enough to time this vile political betrayal now, in the hope that the stupid New Zealanders will have forgotten about his deception at election time. Not only did he do this without warning the nation, he did it behind the back of his coalition partner Rodney Hide! This must rank as one of the most fowl deeds of recent NZ politics, right up there with Helen Clarks election fraud regarding Pledge Gate and Winston Peters and the Baubles of Power! As far as civilisation and progress is concerned this UN document is an Anti- civilisation declaration! It is the reverse of that great beacon of enlightenment dated 1776 that declared that All men are created equal! It is a violation of that latter enlightenment treaty of 1840 that guaranteed equal rights for all New Zealanders, and cuts asunder the peoples it ideologically united as one. I now wonder what National/Maori Spin doctors will weave, to convince the sheeple that the real treaty of Waitangi and the UN declaration of Indigenous rights can be honoured at the same time? Oh that’s right…they have already been ‘educated’! Where I ask, are journalists reminding the sheeple that Hone Harawera and co rejected all established authority in New Zealand apparently demanding Maori Sovereignty, yet now call for us to surrender our sovereignty to the dictates of foreign powers centralised in the UN?…oh that’s right, all our journalists have been ‘educated’ too! It has been left to Libertarians and Patriots such as the One New Zealand Foundation to ring out the alarm. I have been telling New Zealanders for years that contrary to what we are being taught, the real racial troubles of our Nation were not a result of failure to honour the treaty of Waitangi, but emanates from Anti Western Racist Socialist Ideology emanating from the UN. I have been saying that even without the Treaty of Waitangi we would still be in this racist mess and I have referred to Zimbabwe and Fiji as proof of this, yet my voice and that of a small bunch of individuals has been as one who cries out in the wilderness. When I said Frank Bainamarama is a hero of racial equality before the Law, desperately fighting the Indigenous racists of his country, The media and the sheeple choose to ignore my arguements, and vilify Bainimarama. Well ignore me if you will, but don’t ignore the Haka of Hone Harawera! You do so at your Peril and that of your children. 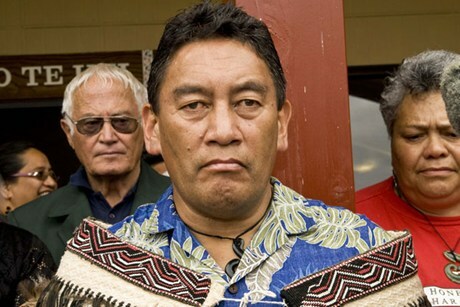 Harawera has already told you to your face that his party intends to wield The UN declaration as a weapon to crush the rights of all non-Maori! Listen to the Racist Judges such as Sir Edward Taihakurei Durie who have already indicated to Maori Party that they will collaborate with their racist schemes that invoke the UN declaration! Listen to the media that now tells us that even the treaty grounds themselves will now be claimed as exclusively Maori! Read the declaration for yourselves and realise it is a green light for an utterly divided country, severed into two different Nations, with two different governments! That is what self-determination means! Ask your Zimbabwean neighbours who are now refugees from their motherland! Why has Rodney Hide not withdrawn his support from such treacherous Leadership? Hide has no credibility! It was obvious from the day John Key hongied Tama Iti what extremes he was prepared to stoop to in his bid for power and when Key ask to support a National/Maori Party coalition, Hide should have refused outright! He sold himself and his party’s claims to oppose Waitangi apartheid for forty pieces of silver…just as Winston Peters did with Helen Clark. 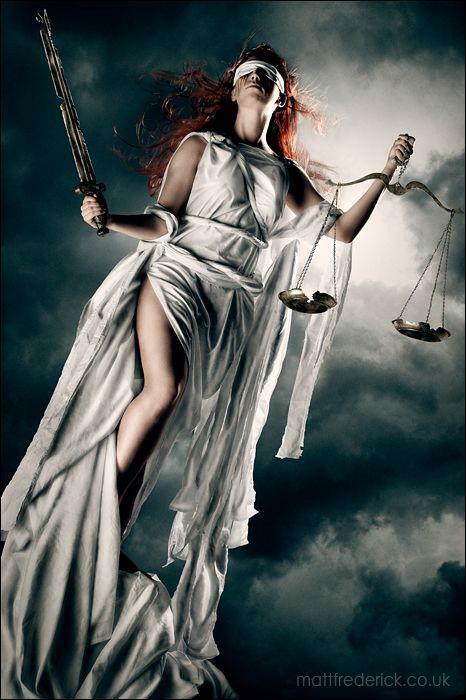 True Justice is Blind to Colour, Culture, Creed, etc. Whom will save us from this diabolical scheme? What evils must we now face? To what lengths must we now strive… how much blood must soon flow to win yet again justice and equality before the Law and restore our land to the tranquillity hard won in the 1860s? We must throw out National and the Maori Party, and don’t let Labour or the Greens back in either as they share the same racist politics as National/Maori. We must get the Real treaty restored, ie The Littlewood Treaty which is an exact translation of The signed Maori Te Triti o Waitangi and scrap the perverted revised Modern perversions that are being used to justify Maori sovereignty and separatism . We must abolish the separate electoral roll and Maori seats in Parliament. We must abolish all race based Laws and state institutions. We must enshrine a New constitution of equality before the Law! We must abandon the UN. We ought to support Frank Bainimarama in his struggle to have racial equality in Fiji. Previous PostHe who does not work, neither shall he eatNext PostThe Lust for Power. You are so right Tim!! How do we get everyone to wake up to what is going on? I despair of every day kiwis actually standing up for this country and all who live here. Serious action needs to be taken and soon. Because the New Zealand of the future, if it stays on it’s present course, is not one I would want to live in, nor want my children to live in. Its good to see someone like Tim coming out and telling the truth. Anyway Maori were never the first people to arrive here in New Zealand. We know the celtic people who have been here over 2 thousand years. We know that history books tell us that Maori says that people were here before they arrived and they called them the tangata Whenua. The Patupaiarehe, Moriori and the Waitaha were also here before Maori. So Maori are not the indigenous people of New Zealand. John Key and Chris Finlayson and the rest of the National party have known about this for sometime now that the Maoris weren’t here first but have rejected it. The United Nations definition of Indigenous People; are those people inhabiting a country at the time of colonization, which in New Zealand’s case was tangata maori, athough their origins are vague. Whatever distinction they had as a race at the time of colonization has been lost due to the majority of their heritage now that of the British and/or other races they have interbred with of their own free will. This small group of New Zealand citizens have used a minor portion of their heritage to gain privileges and advantages at the expense of all others, dividing a country that was created from the very elimination of these conditions. 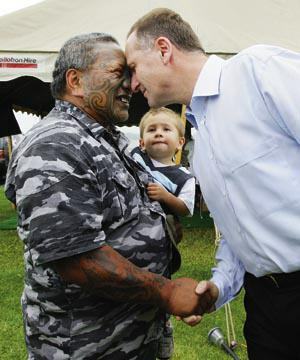 “He iw tahi tatou – We are now one people/Nation”. Governor William Hobson, 6th February 1840. Glad to see you speak out strongly on this issue, although I would warn against proposing a “new constitution”. 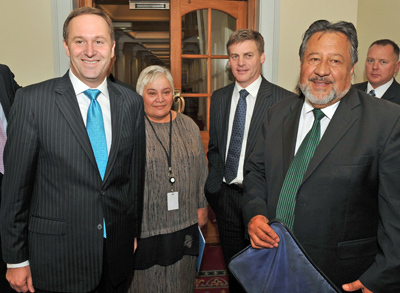 All opponents to the hijacking of the NZ Constitution by the Maori Party must realise that if they propose changing our unwritten constitution into a new written constitutional format, they are walking straight into a trap.The only way to defeat the Maori Party’s plan (unless National doesn’t intend to change anything – and we don’t know that nor can we trust that to happen) is to leave our constitution alone. Opponents to the Maori Party plan should seek to change the Electoral Act to get rid of Maori seats, or suggest changing the Treaty of Waitangi Act etc BUT DON’T SUGGEST CHANGING THE CONSTITUTION ITSELF. Public clamour for a change to the constitution will certainly get a new constitution – but it will be based on the treaty, and that is perilous. The unwritten rule in opposing the Maori Party push for a treaty based written constitution should be to nip any talk of a new constitution in the bud. It is untrue we never had a written constitution, our first was written in 1846 but as it was never fully implemented our present was written in 1852. If it was scattered a bit here and a bit there, as the speakers at the Wellington Constitution Meeting said, they must believe we are dumb enough not to know a computer programme could bring it all together for anyone to retrieve what they want at the click of a mouse. Prof. Burrows, co-chairman of the Constitution Review Panel, was one of the speakers as was Dame Claudia Orange. Hon. Pita Sharples, the one who told the UN that Maori hold a special status as tangata whenua when he secretly signed the Declaration of the Rights of Indigenous People (DRIP), has already admitted to the chairman of the One NZ Foundation that no document exists that gives a definition of Maori. Surprise, so did Hon. Chris Finlayson, Minister of Treaty of Waitangi Negotiations. This is because Maoris are so watered down by interbreeding. Do you know DRIP was signed in secret, without mandate from Parliament or the people! The speakers at the above Wellington meeting promoted the Bolivian constitution as the way for NZ to go and certainly made it glow as a cure for all our ills, but omitted to say that in Bolivia the people had to rent their previously owned homes and cars with a 50/50 split in payment to be shared between Govt and Indigenous people. Why would we of the 1st. World want to embrace the constitution of a 3rd. World country, Bolivia, and lose our homes and cars? If you’ve read this and haven’t written to Govt. to tell it you don’t want to change your constitution, don’t complain if you lose your home and car. Tim, you have laid it out with sheer brilliance. I have nothing more to add other than I agree with everything you have put down here. Mike, I also acknowledge what you say and fully agree with you. DO NOT fall into their Puppetaring brain games and support a written constitution. It is exactly what they want. Thank you for your comments guys. I must strongly disagree with you on the constitution issue. There will be a constitution written in the next few years whether you like it or not. The question will be whether it is to be an enlightened and just document which sets limits to Government, and garantees individual rights and liberties… a document to inspire National pride….which will only happen if we rally a strong enough defence, or the New constitution will be the fruit of Corrupt, power hungry, and Racist minds…. and be a National shame…. entrenching racism and injustice, and giving unlimited powers to Parliament. The Charlatans would quite happily continue on as we are now under our current Constitutional arrangements… which is what they intend to do… yet in a New Republican format. Ie The new constitution they wish to create will allow them to carry on with their Waitangi extortions, and busybody/ heavy Taxation and Debt laden socialist State. We have an opportunity to put an end to it all. If we fail it will be business as usual…. and the creeping Tyranny and Tax Rapine will strangulate, and impoverish us and our children. Mark my words. I will put some of my thoughts together regarding why a written constitution is essential and make a blog post. Would that inheritance you demand be that bloody soil where the bones of the Maori whom your great uncle Te Rauparaha canibalised now lay? The hypocrisy of your claim reeks! Tim, at least I now know where U stand. You have unashameadly declared yourself as a blatant racist, as I am not responsible for my ancestors actions, and only seek a better future for all new zealanders. Your vehement sarcasam towards true nzer’s betrays your innermost self. You know not of which you speak. The blind lead the blind and so all will fall in the ditch. ps: I despise war, I didn’t invent it, and in all our past history there has never been peace. If you search history long enough, you will discover that canibalisim was a European ancient invention. You should check out the Brittish Lancet medical journal and look up corpse medicine. It was still rampant in Queen Victoria’s reign. Enjoy. Why John, does telling the truth make me a Racist? why would you try and hide the truth about your great uncle and try and say canibalism is a whiteman invention? That is both stupid and racist. I am a Maori. This means my Ansestors regularly participated in canibalism. The Brittish… in particular the Protestant Church Missionaries… came to New zealand and taught the Maori to ‘Love thy neighbour’ efectivly ending Cannibalism and laying down the foundations to end tribal warfare. Two things at the heart of Pre-European savage culture. It is true that you are not responcible for the wrongs committed by your uncle… neither are Pakeha living today guilty of any oppression of Maori. The whole business is a dirty Racist lie. Why not accept the facts, Dump the racist chip on your shoulder, and get on with forging your own prosperity via hard work, intellegence and self responciblity… like everyone else must do? You will be much happier! Tim, the real problem was never Racisim but one of human greed/avarice for profit self grandiousment at others expense [check out the old Far East Trading company and its allie the NZ company set up by pedaphile Govenor Grey]. This applies to all races irreguardless of colour. It has not stopped and is behind the hidden self empowerment of our government representatives that both you and I despise, both Maori and White. They are only interested in their own power over us. As for the Missionaries ending canabalisim they only played a small part. It met it’s demise mainly to the observation that ‘whitey’ brought with them sheep. pigs, beef cattle and lots of fruit trees, vegies etc and could support large families with farm management techniques and so didn’t need to eat themselves. Te Rauparaha took note of this and in his later years spent his time travelling around his ’empire?’ checking up on his iwi’s crop farming so as to feed his people. The surplus was taken to the cities and sold. As for religion, it’s as bad as politics; they both serve each other as a means to create hope for a better future, when if fact they were invented to keep us all from the truth. Who is/was the evil empire?. them whitey’s or us maori. Both are guilty, and are still perpetuating their decieptfull lies on us with abandonment, hence the signing of the UN declaration behind our backs. THEY ARE BOTH IN COLLUSION WITH EACH OTHER. ps: the last great feast was held on Kapiti at which the guests were introduced to new food like pumpkin etc as the change for our future was known. That is sheer brilliance, Tim, and even more meaningful given your ancestry. I absolutely agree with everything you say and a copy should be placed in every mailbox in the country. I’m extremely worried about where this country is heading as it’s becoming more and more racist and separatist by the day. We are lead by total idiots who are nothing short of dangerous as far as our peace and harmony is concerned. Equality for all and colourblindness should be the aim of everyone. If the Treaty has to be involved the least they can do is use the correct one, which served it’s aim long ago and should have long been consigned to history. Thanks Helen. Things are getting pretty bad on the Constition front. Tim, you claim you are “Māori”, which is a racial claim, to a certain biological inheritance. Despite this, it’s painfully clear your ethnic identification is with the European “New Zealand” aspect of your racial heritage. This is made clear by your implied claims that the bloody invasions of Taranaki land by the Armed Constabulary were a legacy of European “enlightenment”. It is made clear by your claim that christian missionaries brought more loving practices to Māori, when it is accepted by NZ historians that Māori did not use violence to “discipline” their children until browbeaten into it, particularly by christian missionaries (“Spare the rod, spoil the child”). I find it supremely ironic that you seem to think (and certainly your fans here believe) that your uncritical parroting of this Eurocentric ideology holds special status, by right of the Māori portion of your biological lineage; that because it can be parroted by an “Uncle Tom” like yourself, this ideology ceases to be racist. This is not the case. If I were to say “all pākeha should be kicked out of this country”, would that magically stop being racist, just because I’m racially pākeha? I would really like to see you offer a sound intellectual basis for the delusional and ahistorical view that tangata whenua either gave permission to the NZ colonial state to take their land and assimilate them, or were militarily conquered. I would like to see any rational basis for the claim that when Taranaki iwi had 80% of their land confiscated after years of brutal pogroms by Armed Constabulary – well after the Treaty of Waitangi was in force – that this is not a causal factor in the economic disadvantage of their communities today. Did you know that Tūhoe did not sign the Treaty of Waitangi? They were never conquered by military force under a declaration of war. The only NZ invasion forces that have crossed Tūhoe national boundaries are the armed police who periodically kidnap their political leaders, most recently in the Operation 8 raids. Under the parts of international law that ban nations from arbitrarily invading their neighbours, Tūhoe are a sovereign nation within this country. Despite this, the Tūhoe homeland, Te Urewera, was confiscated by the flick of a pen. The government of John Key, who your blog post laughably claims is pandering to Māori interests, stubbornly refuses to acknowledge this. The NZ State has no legitimate authority to declare Te Urewera a region under their government, for the same reason that Australia can’t declare this country to be a state under their federal government. Our consitutional arrangements (written or unwritten) must change to acknowledge this reality, whether it suits the current ruling elites (both pākeha *and* Māori), or not. Rest In Peace John Fowlds.